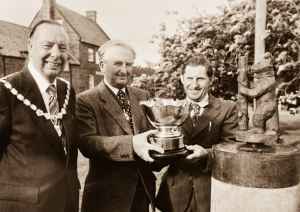 WRCC opened applications for our first Best Kept Village competition in 1957 for which 46 villages entered but Wolston were victorious and were presented with a trophy and Edyvean-Walker silver bowl. In 1962, following the consecration of the Coventry Cathedral, the Diocese of Coventry instructed WRCC to open an additional category for Best Kept Churchyard which became equally as popular as the Best Kept Village competition. Sadly, our competitions ceased in 2010 when a change in local authority funding streams meant we were no longer able to support the huge administrative task in dealing with the applications, organising judging panels and hosting the celebration events. We’d love to see the competition back and to reignite that community energy we know it creates and are looking for sponsors to support our plans to bring back our ‘Best Kept Village Competition’. This is a great opportunity for an organisation to partner with WRCC and to access our knowledge base of rural communities throughout Warwickshire. We want to celebrate the spirit of village life whilst also raising awareness of issues and challenges facing those living and working in rural Warwickshire.